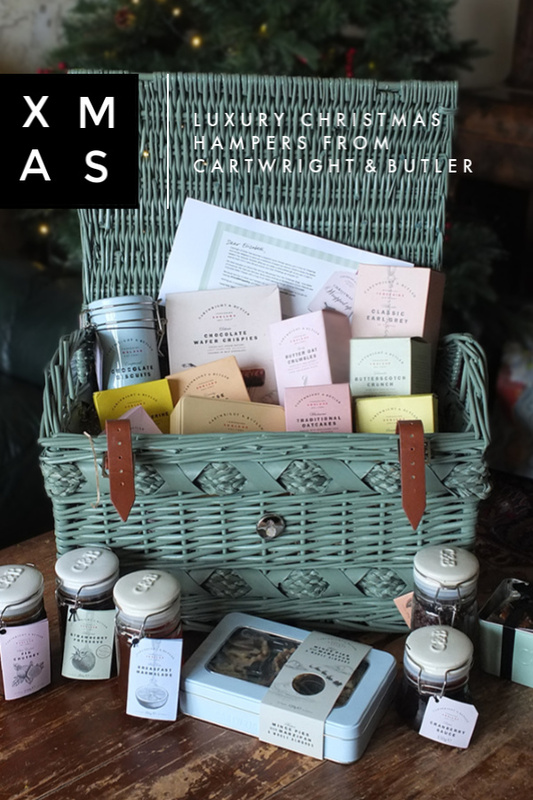 Cartwright & Butler very kindly sent us a hand-picked luxury Christmas Hamper this year for us to try. I tell you, it’s like Christmas morning unpacking these hampers! There is so much delicious food presented in a rather fabulous treasure chest style wicker hamper. 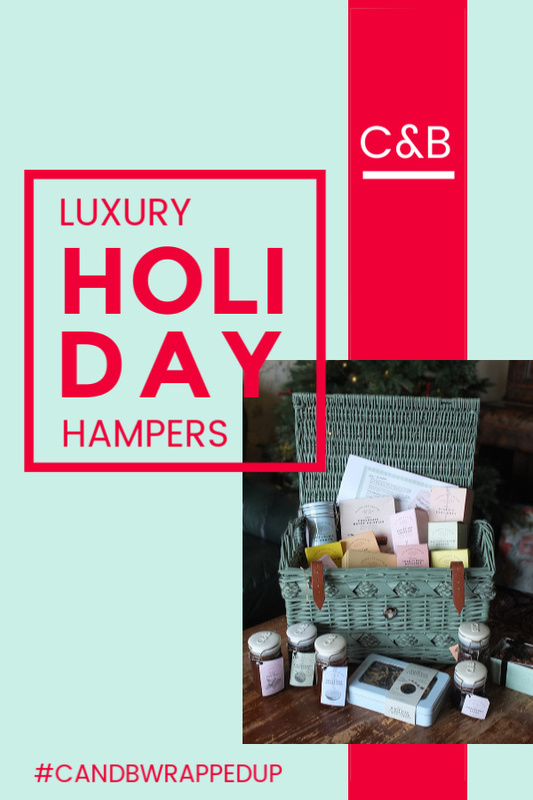 SO, WHAT’S INSIDE OUR C&B CHRISTMAS HAMPER? As you can see from the above video (thanks, Santa, for the special appearance for the unboxing video! ), there’s quite a wide range of food packed into this hamper. 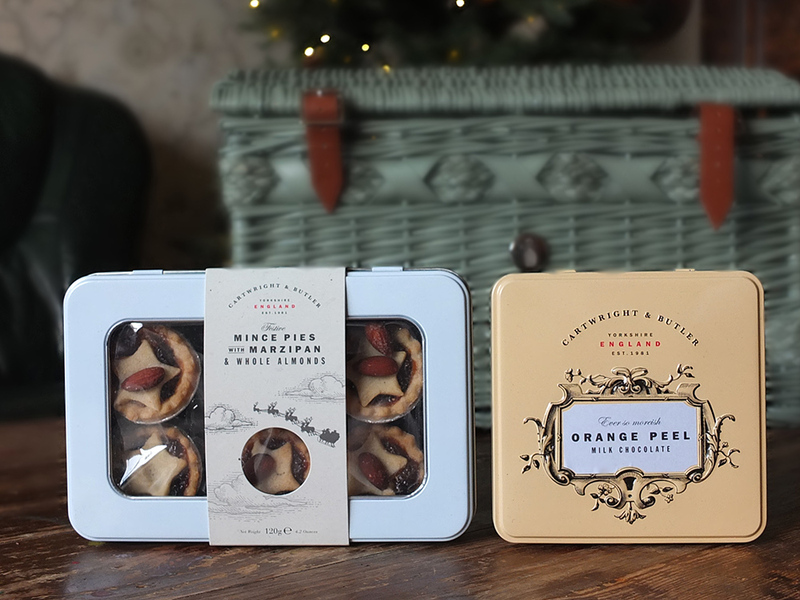 There’s everything from mince pies to chutney, cheese biscuits to salted caramel fudge. I love the treasure chest style wicker hamper itself; this will certainly get re-used. 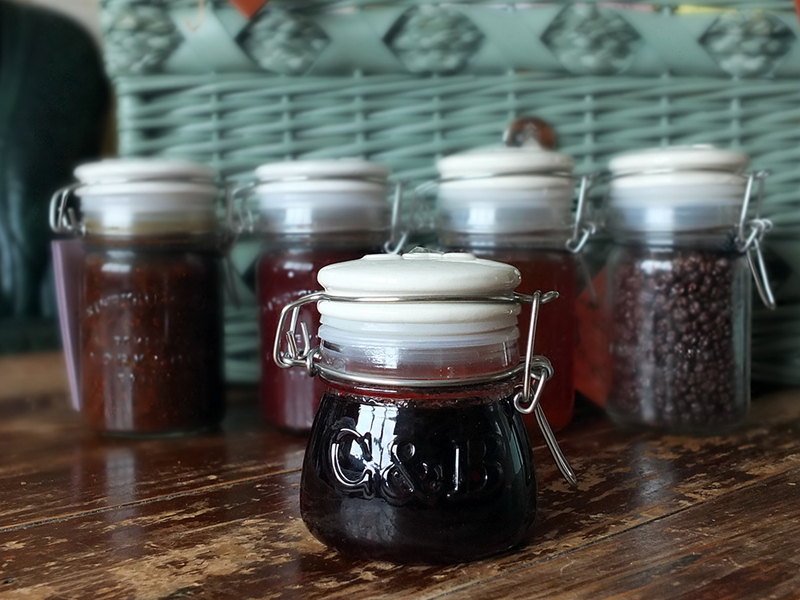 I also love the reusable glass jars that the sauces and condiments are in. I tend to keep these and fill them with dried spices and herbs. The Cartwright & Butler range of hampers and gift baskets offers something for every occasion and every budget. Creating a cherished gift for family or friends or the perfect ‘thank-you’ and season’s greeting for staff, colleagues or valued clients is as easy as 1,2,3. There is free delivery on orders over £30. 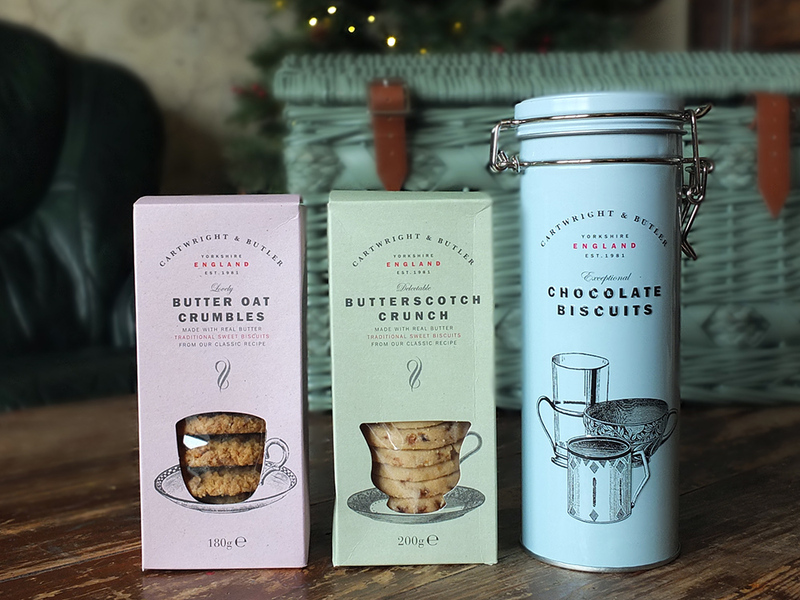 From traditional wicker baskets to wooden crates and pastel-coloured tins, the choice is yours when it comes to a Cartwright & Butler Christmas hamper. There’s something to suit every occasion and budget. From £4. Last but not least, create your personalised gift message and set your delivery address. That’s it, all done. 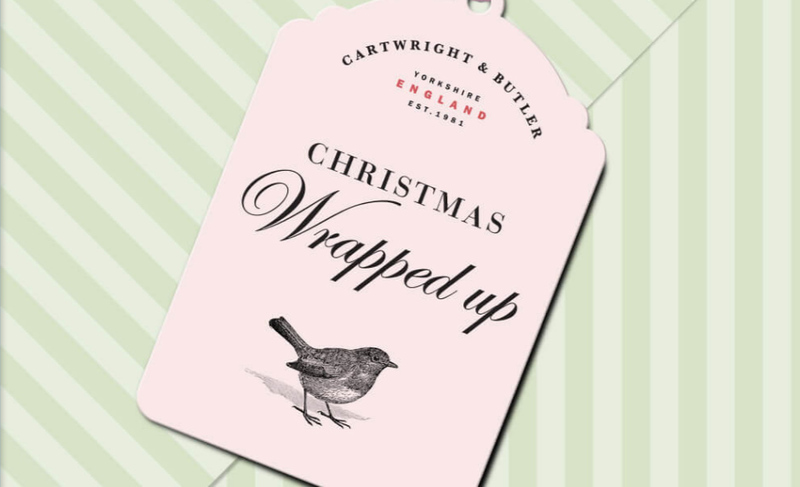 You can put your feet up whilst the team at Cartwright & Butler carefully hand-pack and deliver your lovingly created gift. 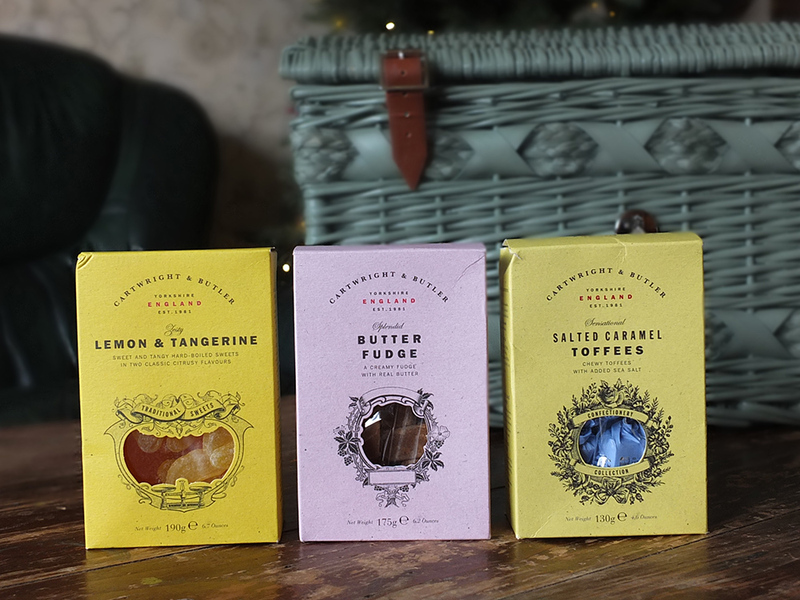 PIN THIS CHRISTMAS HAMPER GIFT IDEA FOR LATER! 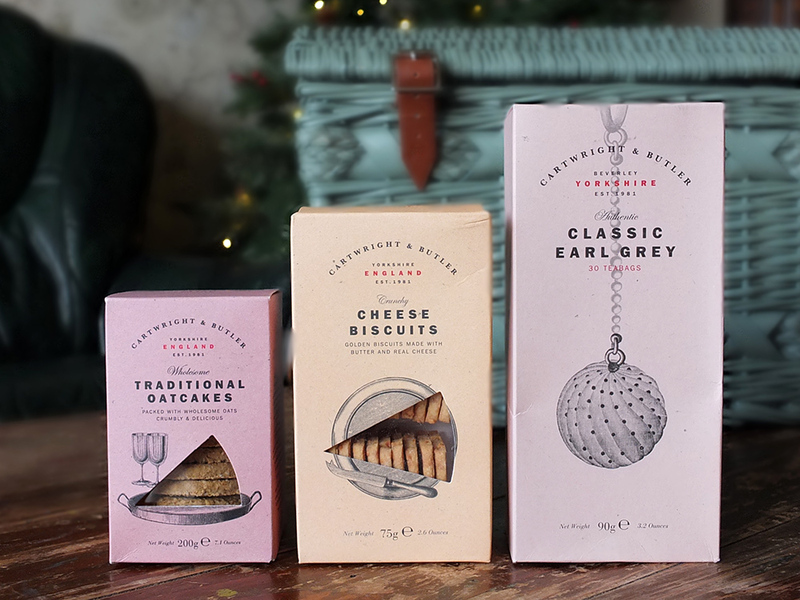 Elizabeth’s Kitchen Diary was sent a C&B Christmas Hamper for review purposes. This is not a paid post, and all thoughts and opinions expressed are our own. Amazon links are associate affiliate links, and if you click through and make any purchase we will earn a small commission. 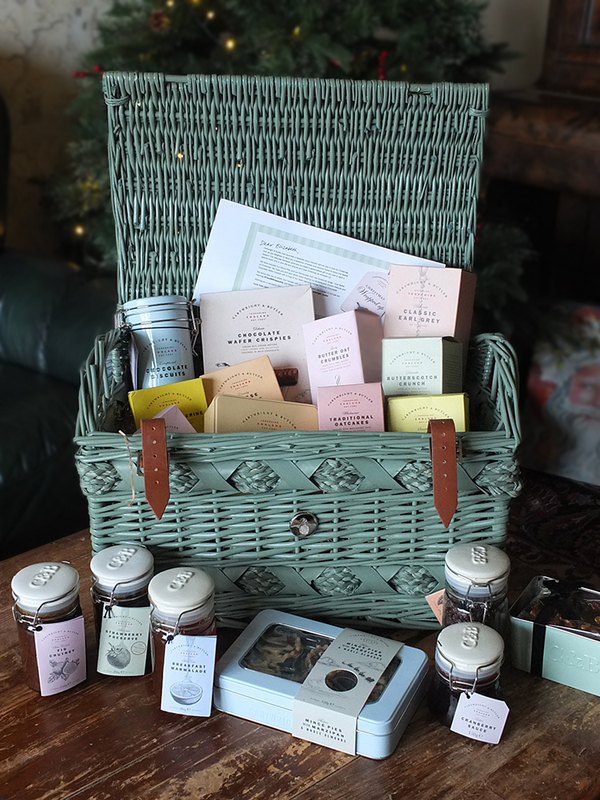 This hamper is absolutely beautiful and such a lovely idea for a gift, I also love the packaging especially the jars which look kind of retro and homemade. What a gorgeous hamper, I would add lots of teas, biscuits and sauces in mine too. I like putting together my own hampers, this sounds like just my kind of thing. Oh wow , what a glorious Christmassy hamper! My grandpa would love it if I customised him one of these. 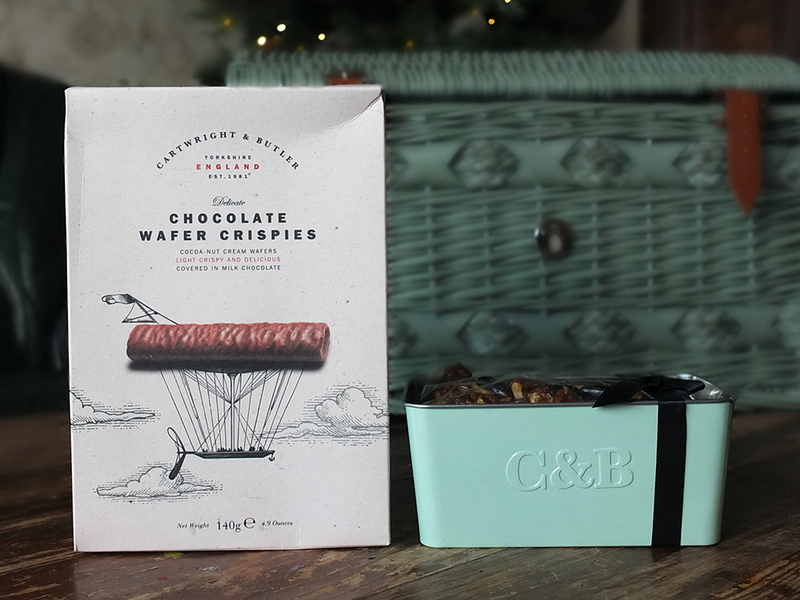 This C&B Christmas Hamper looks fab and we usually go for F&M ones but might try this next year! Wow, what an incredible hamper, such amazing contents. I was looking to get a hamper made up for my in laws so will definitely be considering this brand!